This competition required entrants to create puzzles to allow an elevator to work or open. They were allowed any style or combinations of styles. There are 6 entries in this mod, all offering something interesting and challenging. This competition is being kindly sponsored by SteamContests.Com. The prize, in addition to the points, is $25 US Dollars (paid via PayPal) plus two random Steam games. ElevatorVille is part of the 6×10 series mapping competitions. I have changed the number of points available for interesting ideas etc. It goes from 2 points to 1 point and will be back-dated to the first competition. Copy the elevatorville folder into your SourceMods folder. ElevatorVille should now be listed in your Library tab. Time for you to share your thoughts. 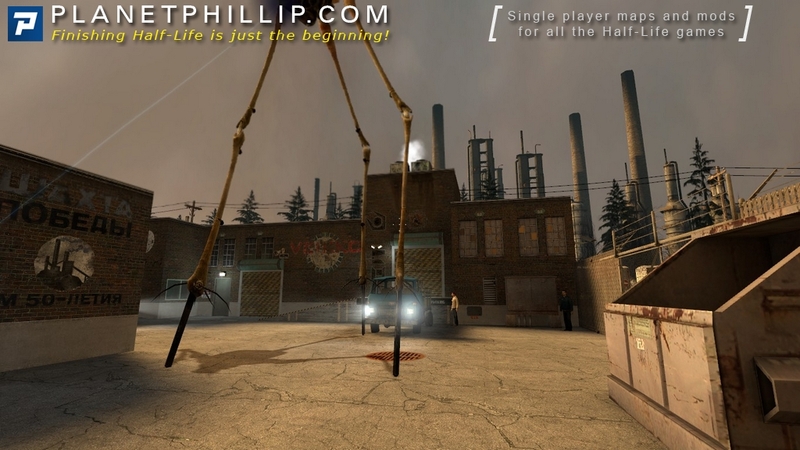 What was your favourite map from ElevatorVille? All the entrants did a great job and as always not everyone will agree with my choice but I felt that Am I safe now? was fun to play and provided some interesting challenges. I keep saying this but I found this the hardest competition to judge. All the entries were good and Elevator Action nearly won but the problem is that it was less fun to play than Am I Safe. I recognize it has its faults, but they all do. Anyway, when do readers all agree about the best map? The series of mapping competitions, has individual winners but they also accumulate points for entering, winning and other aspects. There will be a grand prize at the end. Tony DeBlasio: +5 points for winning. Tobias Janderå: +1 point for the cool way the crowbar was positioned. Luciano Gallo: +3 points for the gruesome cafe, the £Fix Elevator” button and the general feel of the map. So, here we are with the second 6×10 mapping competition series release. It’s an interesting bunch and I really did have trouble choosing a winner. I didn’t have too much trouble with any of the puzzles and I doubt you will, if you take your time and don’t try and rush around. The maps come in a variety of styles; some with combat, some without, some with dev textures, some with some shiny new ones. Thanks to all the entrants for their hardwork. I have to admit I was pretty confused at first. I really liked the opening – running to safety from hiding. The key here is to look around carefully. My biggest issue was with the sewer section. The inclusion of the exploding canisters made me think I was supposed to blow open either of the end gates. I wasted a lot of time down there. The puzzles themselves were pretty easy” the fuse, the crank and the waiter’s lift and the combat was okay too, I just felt it all went together quite well. 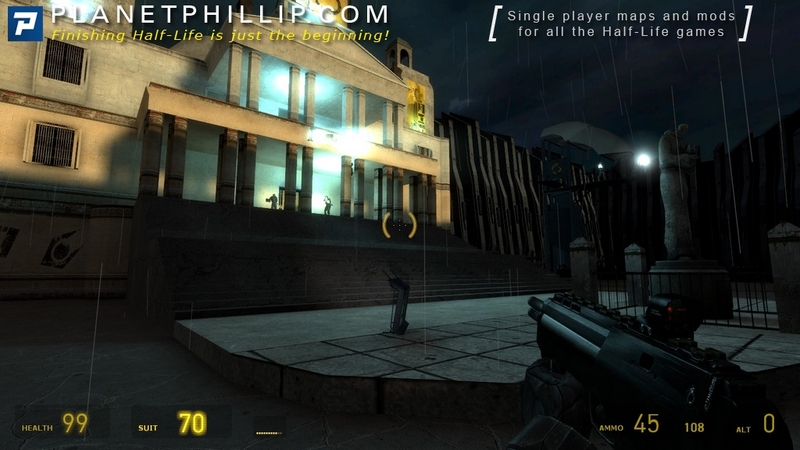 This is a typical Miigga release and he does a great job of making the level look detailed and real. His lighting is great and the layout was complex enough not to feel like a box. The puzzles were easy enough and the final battle a little too easy – I found it too easy to stay in the room and let them come to me. All in all a great entry but didn’t excite me I am afraid. This entry probably had the best puzzles and I was running around trying various solutions. The problem was that I didn’t have that much fun playing it. Couple with the ending, which was a little depressing, it didn’t really make a positive impact on me. I quite enjoyed this entry but unless I look back at the screenshots, nothing really stood out. The mix of dev textures was a little strange, but that’s the chance you take when you mix them. All in all a competent map but didn’t have anything standout about it.. Without doubt the best looking entry and it’s good to see new textures creating a completely new feel to the map. The problem was that it felt half like a spaceship and half like a building. That shouldn’t really matter as I said the maps didn’t have to make sense but without being obviously abstract it felt strange. The action and puzzles were fine and this map received 3 points for some nice touches. I really liked the start of the map and the inclusion of the Borealis almost got it an extra point. I have to admit that the dev textures really confused. I know I said that dev textures were fine but the way they were mixed here made me think I had installed it incorrectly. Being able to walk through the blocks also didn’t help. The next 2 rooms just drove me crazy and I cheated on the second. What made the MegaMini team decide to make this type of puzzle I don’t know and maybe other readers love it, but I doubt it. It’s interesting as this was a team effort and I have the feeling that the map is just a collection of ideas from different people. I could be wrong, but that’s how it feels. The final battle was just too vanilla. Two hunters running at you in a large arena. Not much fun and having the crossbow made it too easy. All in all I didn’t really enjoy this. Door closes in front of us, there’s an elevator behind. The design tries to show Combine base but it’s too blocky to do it. Flat walls with metal textures are not enough. 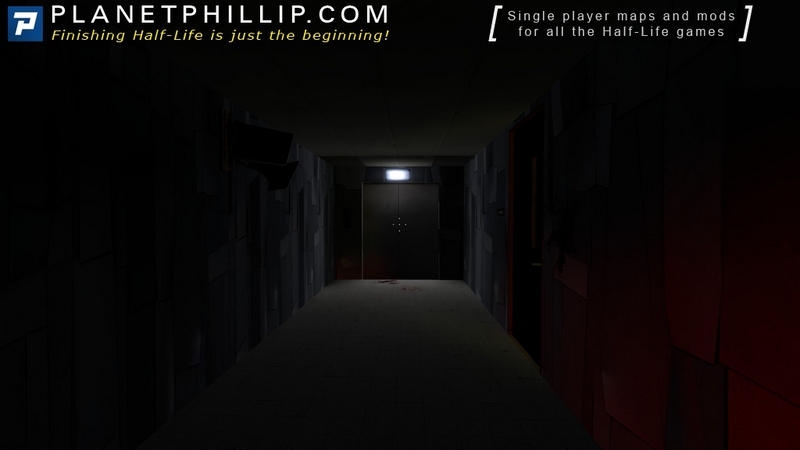 The floor below is an unfinished blockout: the gameplay is there, but design isn’t: all textures are orange dev ones. There are some abstract platforming sections. In the second room I pressed all buttons and was sure that the elevator is now open. But it wasn’t, and I absolutely didn’t want to go back and see what’s wrong, so I noclipped through it. Then we enter the grand hall of some building, which looks cool, but also weird, kill some combines and that’s all. Some decently designed room where we need to turn on the generator. The builders of the place saved money on ladder, because why have ladder if you can climb the generator? 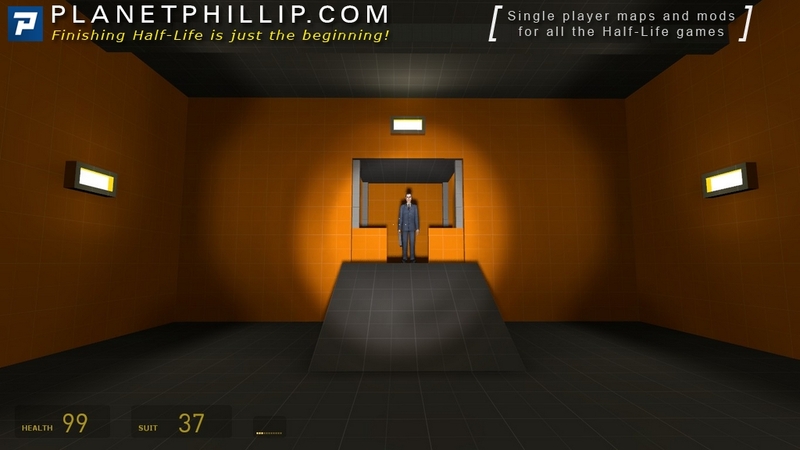 Then we have to open the door using the access card, which looks like one of the walls in Half-Life 1 test chamber. The outdoor area looks too square and the lighting is not realistic: bounced light is darker than it should be. After finding the gravity gun I expected to fight some zombies with it, and even took a barrier with me in the elevator. But instead I found myself in another orange blockout throwing roller mines into combines. In the end, the design became good, and the battle with zombies actually started, only to be interrupted by G-Man. 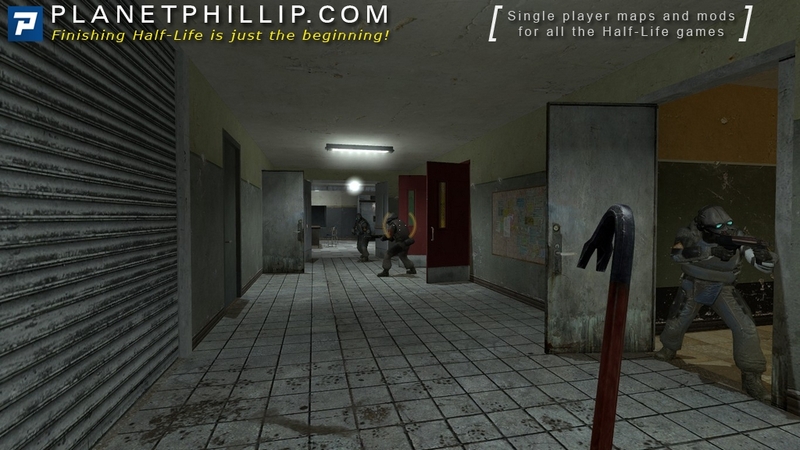 This could be a good map if the blockout was designed or cut and the battle with zombies wasn’t interrupted. 3.5\5. Good atmospheric design. The idea of running from strider is original. I couldn’t find the crowbar anywhere, and stumbled upon it when I was carrying the crate to try and break it with the strider’s fire. The elevator is done well: the puzzle to open it is a nice addition to Episode 1’s open the maintenance electricity cabinet. Putting explosives in a room with zombies is a great idea. Then there’s some unsolveable puzzle. 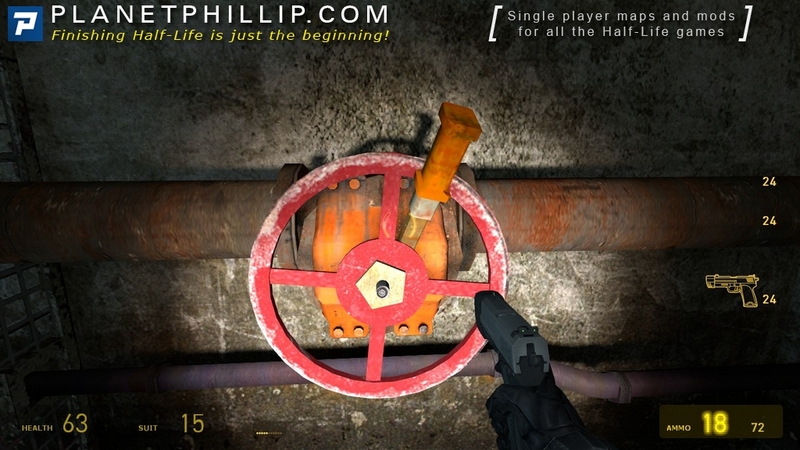 The author breaks the rules of Half-Life 2 by making an indestructible lock on the door. Another door is blocked by cart which you can’t move. Even putting the explosive barrel there and exploding it leaves the cart intact. I even tried to put the barrel under my feet and explode it for a high jump in the vent, but it turned out that there’s nothing in that vent, despite the warm yellow light which hints that I should consider going there. Maybe we’re supposed to make the zombie remove the cart, but that’s unlikely because I tried it and it didn’t work, and also if you kill a zombie, a new one won’t appear. Maybe we’re supposed to block the steam leak in a pipe, so that a new leak will push the cart? But putting objects in front of the leak didn’t work either. So, unfortunately, good map was spoiled for me by unpleasant noclip time. Turned out that there’s nothing behind that door. But where’s the right way? The canals are a dead end, there’s nothing behind the grates, and the elevator is not going back up. I used noclip to return, and found another elevator. I ended up in the canteen, which seemed like another dead end. Noclip revealed that there is a subway station below, which I didn’t visit yet. But there’s no way to get into the building where the elevator is located! I noclipped to that station, boarded the train, and it ended. How can you rate Am I Safe Yet a 4 out of 5? 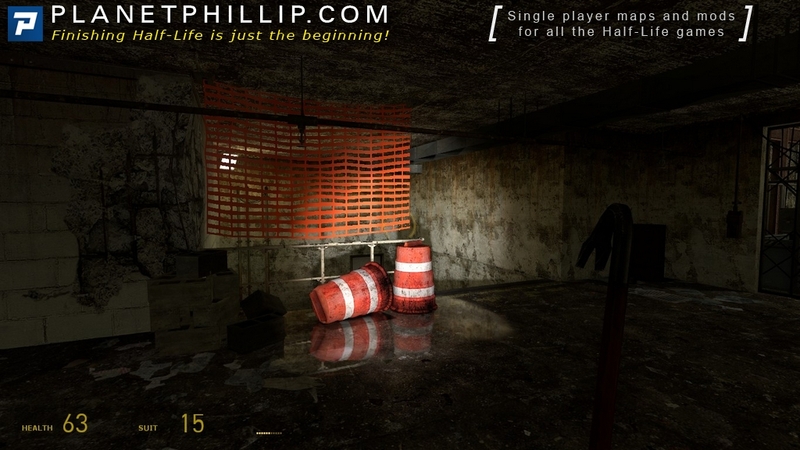 I, like you, found it impossible to play in the sewer section for all the same reasons. NoClip doesn’t count, that’s cheating. If the map is unplayable, doesn’t it deserve a 1 out of 5? By the way, if anyone could help with that area, it would be appreciated. Replayed it from the beginning. The problem is being able to take that one elevator down to the sewers right from the beginning, and with the elevator not working to get back up and no way out. A serious design flaw, in my opinion, kills the game right there. If the idea was to have the player waste a lot of time down there for whatever reason I don’t know, then fine, however the designer should also make it possible to get back up rather than forcing the player to quit the game and get a 1 out of 5 rating, or worse, cheat. Luckily I decided to try the game again from the beginning and go the other way in the initial vent system. Then it was a great game. I gave it 4\5 because people wrote that it’s playable from start to finish, so I thought it was just me. Also, I found this map enjoyable, the only flaw is too hard puzzles. Hint: the elevator is not going back up because it don’t have enough power. At least, that’s what I thought after I accidentally managed to get it to go up. “Ascension” … well I love miigga,s maps,pure and simple… great textures and lighting ,and the puzzles we expect… however I didnt enjoy this as much as previous miigga maps…. “elevator action” was one of the best maps and I was happy to see it got some credit in the form of 3pts for nice touches… maybe if the cafe had been textured differently it may of looked better…. as it was I looked alot like a cafe from “bioshock 2” …..know what I mean ! in summary a excellent competition and if the rest of the comps continue at this standard then we should have some great maps this year.. so allthough I didnt enjoy some maps overall this has been the best mapping comp yet… so with that in mind im giving it a “PF” .. GREAT FUN ! hey! 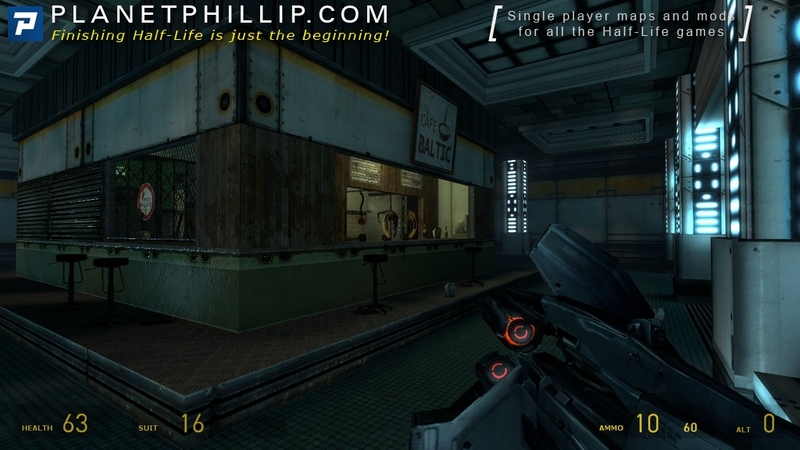 The cafe wasn’t inspired in Bioshock 2 at all (didnt even play that game yet). 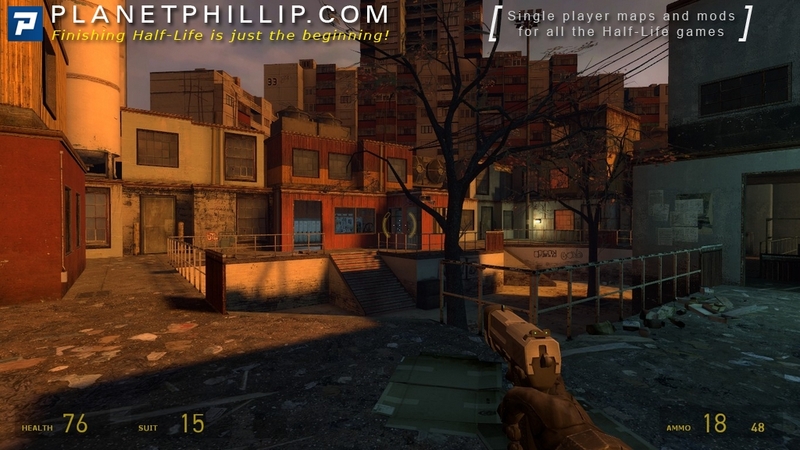 it was inspired in one Duke Nukem map that I released last year. I had very little time for design choices so I picked my favourite part of this other map. And it was nice to port something from an old game to a new one. ive just watched the duke nukem 3d map you mentioned…. that said ive never played duke nukem 3d( I should really ) ….. infact leon brinkman(spymaps) and the creator of strider mountain and coastline to atmosphere actually starting mapping with duke nukem 3d and the rest is history.. so it shows how popular this game was to mappers… and am I correct in thinking this was one of the first games with allowed you to create user maps ? The guy who did Mission Improbable used to be a Duke mapper too. It wasn’t the first game with a level editor but it was the most popular. It is still more popular than you’d think, at least 20/30 new quality maps/mods are released every year. And that’s a lot to say of a 16 years old game. Am I Safe Now: Ok albeit generic design. Some of the buttons were hard to push, leaving me stuck in the kitchen for a few minutes. 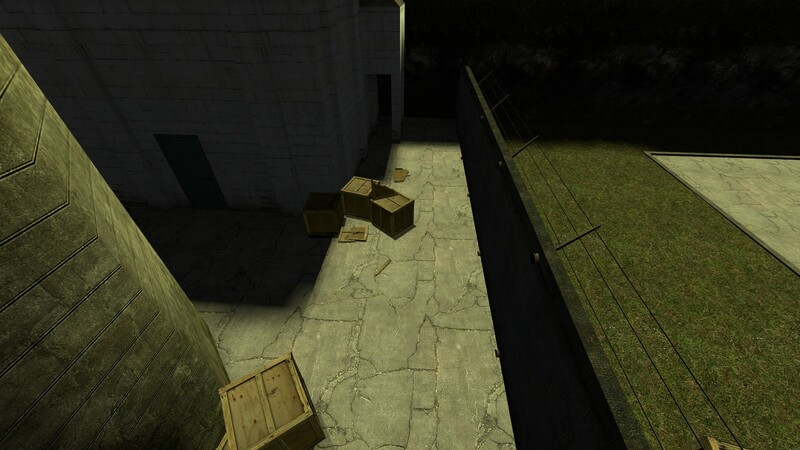 I was lost near the start as well because the indestructible crates fooled me (never a good idea to make something behave contrary to what you’d expect in a Source-engine map). Not a bad map really but it represented the worst utilization of the elevator theme, which seemed almost like an afterthought. 2½/5 (3/5 or even 3½/5 on its own though). 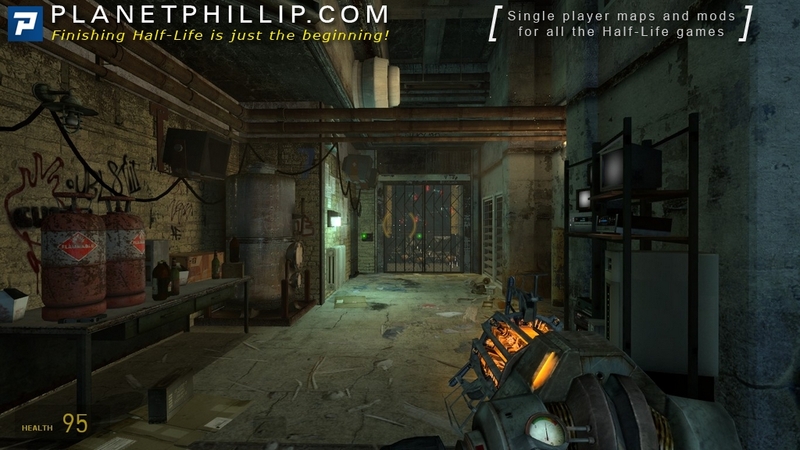 Ascension: Another generic HL2 type of map but pleasantly detailed and the puzzles were fair, even if the “making the steps” puzzle required a bit of tedious tinkering (but at least it was clear what you were expected to do). The ending was pretty cool; always a good idea to give the player a taste of fresh air after spending minutes underground. Good use of the theme. 3½/5. Crence: Shortest of the bunch and I had to consult someone for help for the 2nd floor puzzle. I loved the blunt ending though. 2½/5. 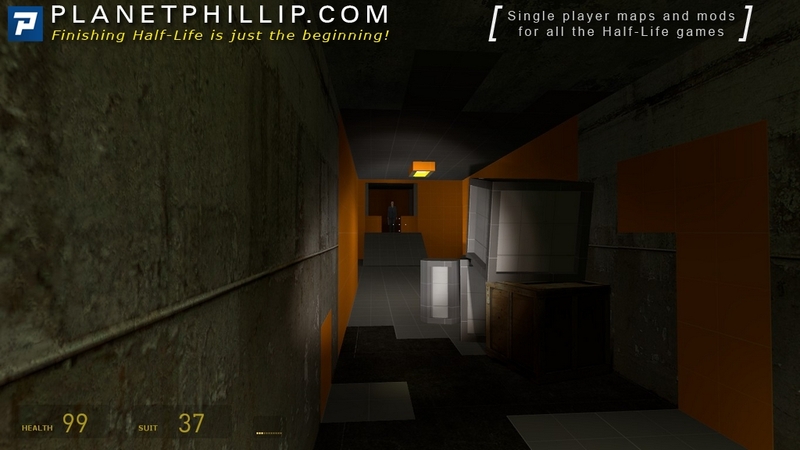 Counter-Shaft: This map has the most amateurish design, particularly evident when you get outdoors, but otherwise the map has a nice flow to it in terms of gameplay and an ok, kinda desolate, atmosphere. 3/5. Elevator Action: Easily the best map of the bunch with by far the most original design, kinda like higher-tech Bioshock with its big, weird machinery and glowing lights. Good use of custom textures and sounds with a few jokes thrown in too. 4½/5. Mega-Mini: Started off interestingly but degenerated into a tedious platforming fest. I activated all four “walls” in the elevator room but still couldn’t get anywhere so I cheated my way to the final section. 2/5. After a few minutes of playing I stumbled into the crowbar by accident because the mapper had not done anything to make it draw the player’s attention. He could have used lighting or set the crowbar up in a more noticable place to make it easier to see. Instead, it was on top of a crate at approximately the height of the player’s eyes. making it extremely hard to notice. The HEV suit was once again inside a box, and I only knew to smash that box because I had played this mapper’s previous contest entry. For some reason, normal wooden crates are unbreakable, which I think is not a particularly good idea. Especially in the case of the crates that are blocking your path to the vent. Getting those out of the way was very tedious. Having entered the vent, I took a right turn, put the little object thing in the powerbox (no idea what that even accomplished. I was just told that it activated the elevator that goes down. I had actually already tried the other elevator where two combine soldiers came from but it didn’t work so I am not sure if this maybe also activated that one? That elevator didn’t work before and at some point it inexplicably started working again, as if by magic.) and took the elevator down. I reached an area that very much looked like a puzzle: There were explosive canisters, padlocks that were unbreakable for some reason, a door that would only partially open because it was blocked, a light switch, and also a vent that seemed like it might lead somewhere if you somehow manage to get a bit higher in the vent. This very much looked like a puzzle and I wasted a lot of time here thinking it is one. Eventually noclipped past the padlocked metal fences to find that there is nothing there and this is a dead end. Annoyed, I went back and went in the other direction in the vent. There was some combat and various weird stuff that I will not go into detail about here because I think I’ve made my point already. Overall I think this map has bad flow of gameplay, most of the puzzles weren’t well-designed because the connections between different puzzle components were not apparent to the player. (for instance the powerbox that you had to place that object into. What did it do?) 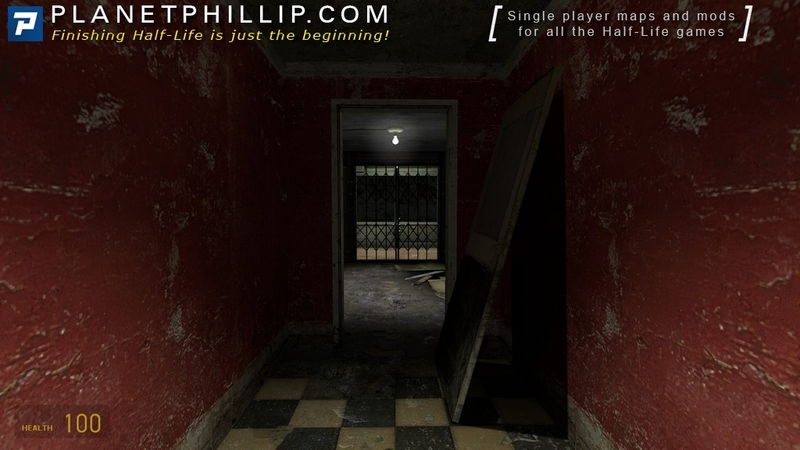 This map suffers from the same problem that this mapper’s DoorVille entry suffers from; the player never has any idea what the heck he’s supposed to be doing. I find this map to be the second worst map of the entire competition and the fact that it won causes me to see this 6×10 competition series as a joke. 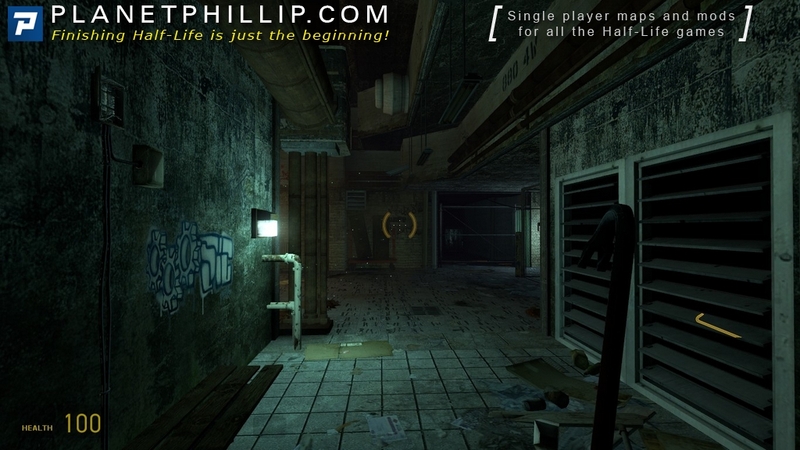 Phillip’s screenshots seem to be a bit mixed up between this map and the next one. I think this map was overall okay. The first keycard puzzle was a bit problematic because the keycard was very hard to spot and there wasn’t any good indication that a keycard was what the player should have been trying to find. The visuals in this map are oftentimes lacking. However, I quite enjoyed the abstract turns that this map took and overall it was a fairly fun map to play. Starts off with a simple “find a crowbar to smash some boards to advance” type of puzzle. While that is not very original, I do think it’s a good idea to start the map with something fairly simple so you don’t overwhelm the player right in the beginning of the map. The second puzzle was quite fun and enjoyable. The only real problems I see in this map are the unbreakable padlock and the shortness of the map itself. This map is quite well detailed. It was also quite fun to play. I think it suffers a little bit from how much the mapper used a somewhat overused texture pack. This map has at least two places where the player can get completely stuck. The first one is right in the beginning. If the player makes the elevator go up but doesn’t board it, the map is stuck. 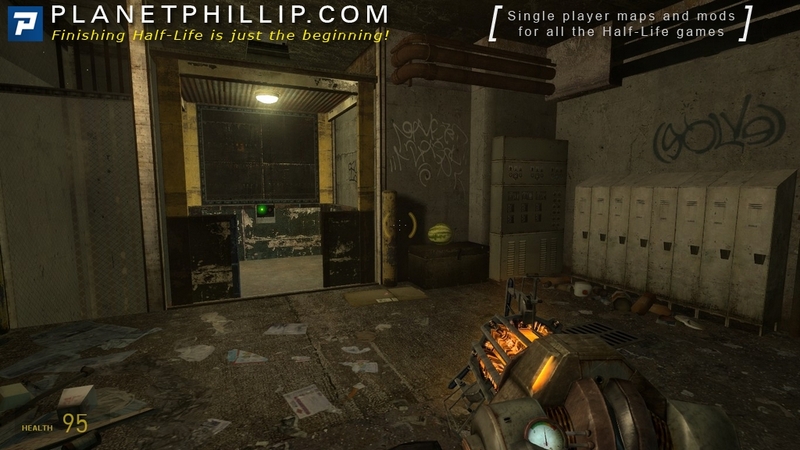 The second one is when the player has finished the gear puzzle and is waiting for the elevator to descend. If you pull the lever more than once, the elevator somehow becomes unable to go up again. This map apparently even had a playtester but these two problems are such that they should have been caught in playtesting. Also, sticking the gear from under the fence was a bit difficult when the gear had the preferred carry angles set up the way they were. I really liked the cafe with the human skulls on frying pans and meat grinders and such. The ending was quite amusing as well. The fact you included links in your post made it not visible yesterday (until the moderator approves it). Just to tell you that I feel the same way as you about the winner. And that I was aware of those bugs in my map, just that there were other priority bugs and the fact that I did the whole thing in 20 hours made me leave them as it, thinking that most players wouldn’t fall into them. The cog instead, I was very annoyed by those “prefered carry angles” but since you could hit the cog with the crowbar ala air-jokey I didnt bother that much; A possible solution could’ve making a nodraw physbox with the cog attached and turn the prefered carry angles 90 degrees so it was easy to throw through the gap. But that would have required compiling the map again and I was running out of free time. Finally, my betatester could play the map only once and his reports were of great use. I’m sorry to say, you mixed up My entry, Counter-Shaft and Trawicks entry, Crence and gave me 1 point for something in his map. I’ve only had a chance to play a few minutes so far, but this is looking the best so far. Very confusing starting area. I got hammered by the strider while figuring out what I was supposed to do. The gameplay was confusing but the mapping was good, not great, just good. I don’t know what it is about Miiggas maps, that famous “Miigga-feell” is amazing. No doubt this one has the best detail as usual, but sometimes It feels like he puts more time on detailing rather than gameplay. Sure, the puzzles were fun and creative but they felt too “small”. The last combat scene I really enjoyed. I killed all combine and the elevator was enebled with a message “The elevator is enables!”. Felt like he got bored and wouldn’t bother doing anything more. 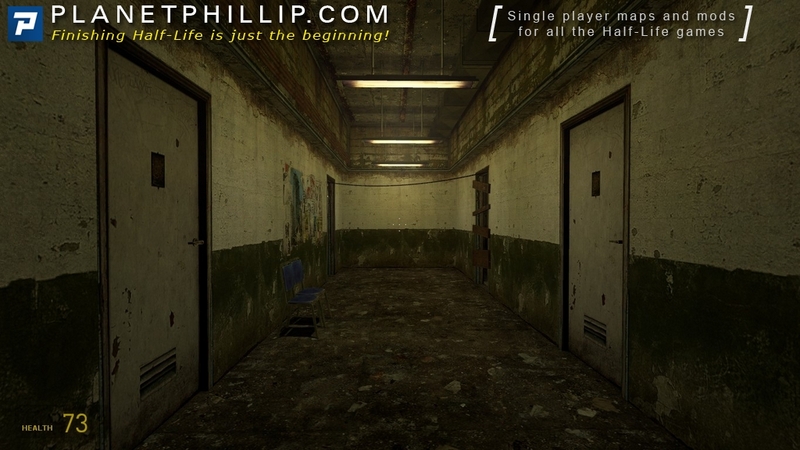 When I first played it I thought it was a very nice map but It only had, what, 1 or 2 floors? Very short indeed. The content that was though, was really nice enviroments. This one was the best I think. I liked the space them. Nothing made sense, but that’s not in the rules, so who cares? The “Fix Elevator” button was hilarious 😀 This would have won for me. Are there no enemies in these maps? How long is each one? Clear indication that you haven’t played any yet…..
Well, this was a nice competition and I enjoyed playing some of these maps. In my opinion, I think Ascension was the proper winner here. 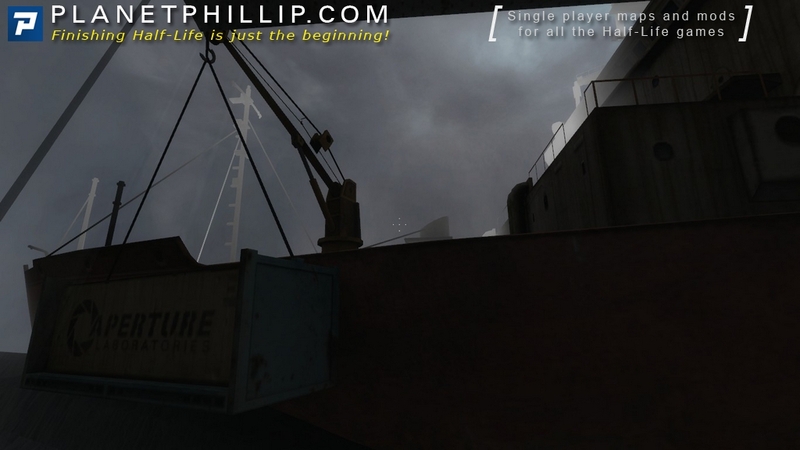 The mapping was very nice looking, and it was the most fun (for me) to play. It also didn’t end real abruptly. I will say that I really do not understand why Am I Safe Now won. Way too confusing, I couldn’t even complete it. 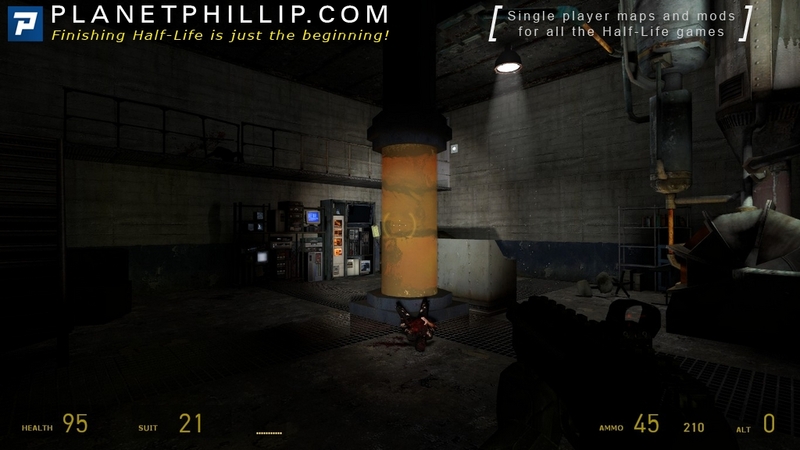 Changing the rules of Half Life 2 and the Source engine kind of burns me up a little, the Strider was just annoying, and the combat that I was able to see was just stupid. Give the player a proper weapon, for goodness sakes! Hacking a soldier with a crowbar to gain a gun is dumb. Elevator Action was also very good, and it even made me laugh, but I thought the ending was too anti-climatic. The rest of the maps were nothing special, though I admire the work put in by the authors. Great competition, I enjoyed it! Am I safe now: I thought it was an alright map. Part of why I didn’t care for it more was the way it played out for me. I tried every door and even tried getting in through the garage window before I found the door that was unlocked. I was also confused by the sewer section. Nonlinear progression can be a good thing, but it needs a little more direction. I completed the map without ever knowing what I was supposed to be doing. Ascension: My runner up for favorite. I thought the puzzles were generally well done and the combat at the end was also fun. The combine needed to fan out more since you could just sit still and take them out slowly, though I found it more fun to run from cover to cover assaulting them instead. Crence: The beginning was good, though I was confused as the the purpose of the battery since I never ended up needing it. The end got too abstract for my tastes. Counter-Shaft: It was short but sweet. The board at the end had too much health though, since some players may not realize its breakable. Elevator Action: I enjoyed this entry even though it wouldn’t normally be my pic. It wins for me because it actually made me laugh, which is rare. I generally enjoyed the humor of the map and it was reasonably fun to play. However, I had a tremendously hard time getting into the air duct. Mega-Mini: Just confusing for me. Too abstract. I generally don’t enjoy platforming in fps games, though the puzzles did come up short of frustrating me, which is good. However, I was annoyed that I somehow started the final map with 30 health, which led to a die an repeat scenario. This ruined it for me. Overall a good set of maps. Hopefully I will be able to enter the next one. Question is what made Phillip choose such a confusing map as winner twice in a row? (Doorville and Elevatorville). 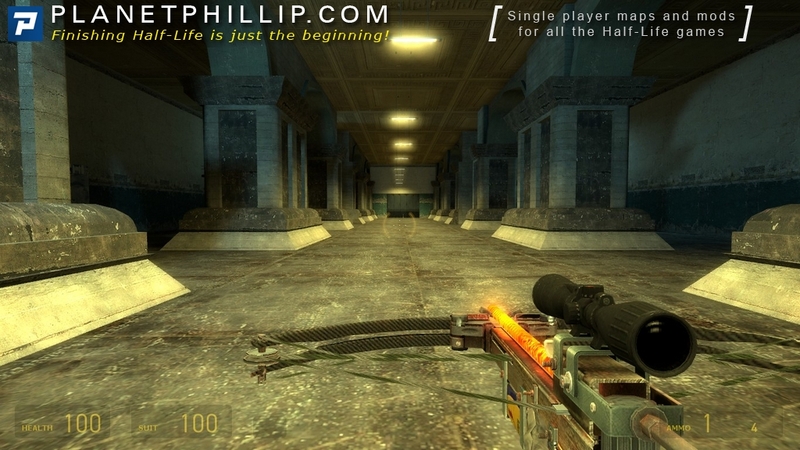 Both maps were impossible for me, breaking hl2 rules and completely counter-intuitive gameplay. The design, albeit good, is the same in both maps, it feels like Joe just moved the same buildings and props around to make it look like a new map. 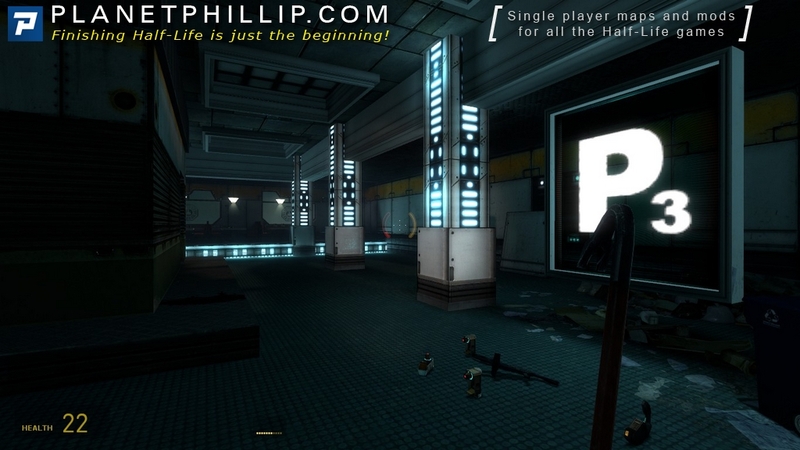 Even the citizens from his previous map can be seen running away from the strider. I was a bit dissapointed for not winning, but not because I believed my map was the best but because the winner didn’t even represent the elevator theme. For me the winner should’ve been Miiga’s map. It looks like all other Miiga’s maps but is that a shortcoming? I don’t think so. It was fun to play and looked extraordinarly good considering it was made in ten days. Counter-Shaft and Creence were good entries too. I enjoyed them in their own way although Creence felt too short. Megamini instead failed in the same way “I’m safe here?” failed for me. The theme wasn’t related to elevators (which is what I would have expected) and those Mario-like puzzles in the dev themed section were annoyingly frustrating. To sum up this was a nice contest with a good quality and amount of entries. I find the final decision unfair and makes me wonder if we the “losers” should start to make confusing maps in order to win the next contests… nah kidding. I voted for Gambini’s map because it was the strongest aesthetically and was a departure from the norm. Obviously, the setting was a spaceship. 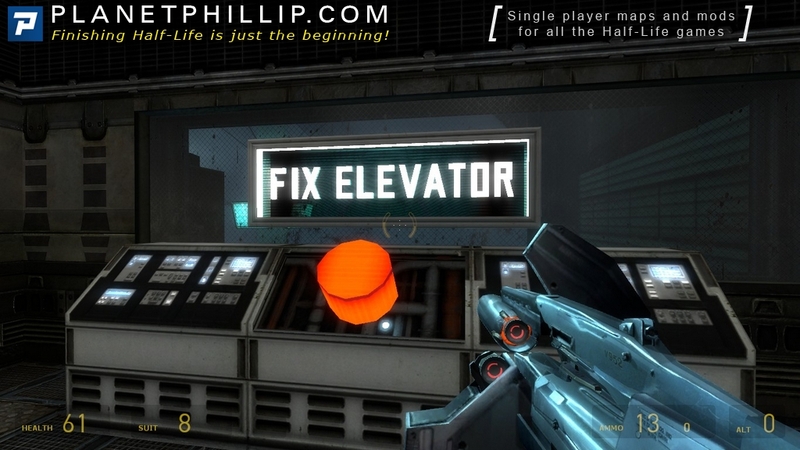 I also like the satirical Fix Elevator button. The creaks and groans of the ship were really cool and I was almost reminded a few times of Dead Space or Bioshock. Overall, cool setting and strong mapping. Its always a shame to see text messages used instead of a voice clip or some kind of abstract leading, but with such a short turnaround it is understandable. I also think the ending was a wasted opportunity for the same reasons. This map really deserves more attention and evolution. The Miigga map was the only other one that I liked. The final battle in the Miigga map was pretty cool but I clipped on brushwork and models, which led to my death more than a few times. I also nearly ran out of ammo so its a good thing the battle ended when it did. I disliked the arbitrary “elevator activated” text message after the hunter died, which was a departure from Miigga’s norm and disappointed me, since I was looking forward to solving another puzzle. None of the other maps really stood out for me and all of the Dev Texture maps were ridiculous in my opinion. Crence by R. Trawick – quite a good map but one is not actuated trigger, however, can be a problem on my side? clearly shows that this map of a beginner – the big empty cubic space, darkness, the broken scale – all designed for the giants .. The music represents “musak”, which is the kind of music used in elevators. That’s why I choose it. And was a nice touch I noticed inmediatelly. What suits better for an elevator contest than an elevator music? surely you watched a few movies where this was used..
– Elevator Action – stuck at the end, the elevator wouldn’t go up and it didn’t matter if I only hit the lever once or waited forever after the elevator came down. I had to replay from the beginning. Otherwise I would have it in contention for the win. – Am I Safe Now – Go the wrong way in the vent and down to the sewers and its over. Might as well start again because you aren’t going anywhere and will never finish. Start again from scratch and go the other way. Too big a bug to be in contention for the win. – Mega mini. I couldn’t stand this one. However I don’t like Portal gameplay either. Now that my graduation is out of the way (:D) and I have a decent job, I will have more time mapping, so hopefully I will try my absolute hardest in the next competition. Crence 3/5 had a nice puzzle solution but im not sure I ended it, I got into the elevator and it started to move and stopped abruptly. not sure if this is the end or I missed a trigger. 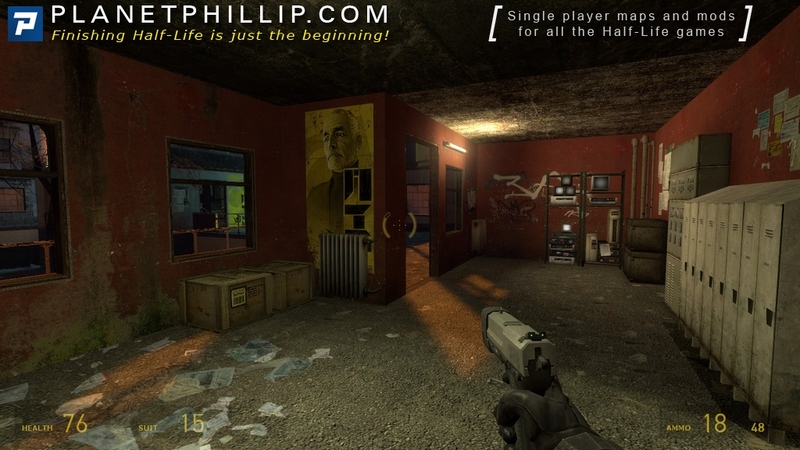 Elev Action 0/5 sure this map stuck to the theme and had good gameplay (once you got past the bugs/flaws) but its a Zero IMO because the author found he needed to call the player an A-hole. to whom should I sell my immortal soul in order to the other participants elevatorville have finished their maps up to the level the Ascension? Jason Gimba, Marcello Bortolino, Lord, SPY.. I wanted to redeem myself after my failure, Counter-Shaft. I don’t know if I’m allowed to post youtube links here but, I’ll try. Don’t show much about my mapping skills, but hopefully it will be enough. 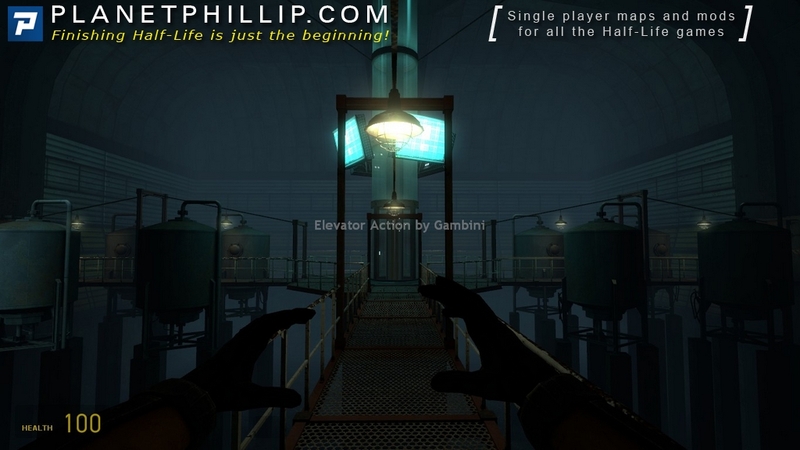 Ascension and Elevator action won it together: Miiga’s map is more polished in a classic way (I got Mission Improbable/Minerva feel from it and btw Episode 3 of MI is going to be released soon) and Gambini’s map got that subtle Portal-like kind of humor (btw that hint was rude man :D). As for other maps… I’m not going to try them again. Also, I didn’t encounter any issues with going down to the sewer and back up on “Am I Safe Now”. I am not sure why people found a problem there. The elevator won’t go down until you fix the fuse, and then it goes up and down just fine. The one thing about this map is you have to carefully hit the up and down buttons for the elevators. Maybe some people missed that? I think it was more to do with the fact that besides collecting a machine gun, there’s no reason to go down there. It also looks like a puzzle once you get there but isn’t. I can only play Map 1+2 , 3-6 arent choosable. how comes? what I need do? why I got those problems ? As a whole this is a great competition, and I dare to say is even better than the doorville one, so definietely u must play thisone. I’m very glad Phillip’s 6×10 comps are being such succesfull, and I hope the upcoming ones will as god as this first 2. All and despite that little conffusion I also had with this map, I absolutely and definitely enjoy it more than the other maps, why? well because was the perfect balance between the elevator puzzles and great combat, the outside environment waqs great and that strider was the best of the best in that map. 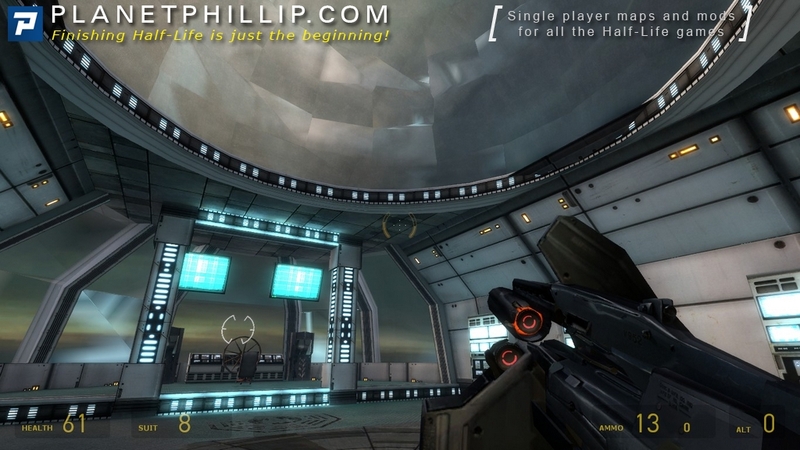 Ascension was also cool but is not different from any other Migga style map, this was actually a classic migga map, with a fun KILL ALL the ennemy arena style in the end, good points for the final battle personally I like more than puzzles. 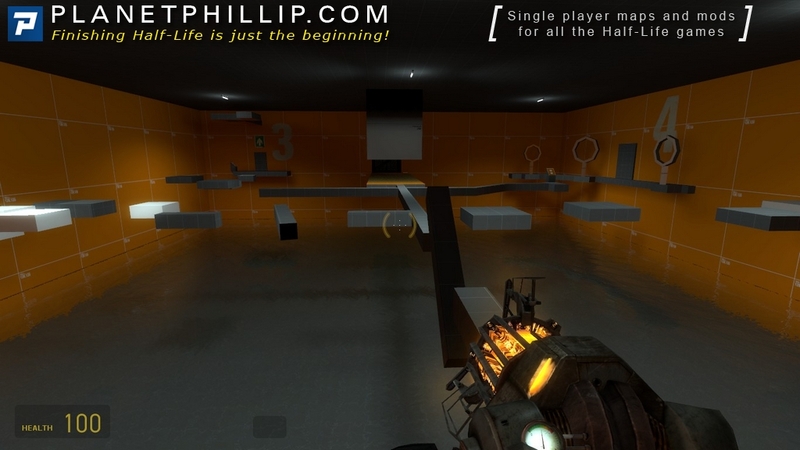 Counter Shaft was the most funky of all, right before mega mini, it was pretty crazy but I like the combat and those creativity touches, alsoi the G-man adition saved that loosy final area, with the bare orange walls that I don’t like as textures in any map. Crence was sweet fun puzzle, but with not combat at all, also was ingenious but really short so short and toatally combatless, and that’s the main shortfall in this one for me. Elevator Action was really good, especially good looking and very “combinesqe”-avant gardish style that “Baltic Cafe” was really surreal and I like those grose hedcrabs and skulls being cooked in there…, this one deserved an honorific mention, but I really wouldn’t give it any complementary wining prize at all, but that’s my opinion, why? well I got stucked in the last cogwheel puzzle, and I mean I finished it but the elevator didn’t bring me up again and I really hated that entry for that little but important flaw that beta testing should have been corrected properly but for some reason didn’t. And finally mega-mini was the worst of all the entries, sorry and maybe i’m too harsh, but I absolutely didn’t enjoy it at all, why?, well, annoying orange intended textures, a bizzarre begining and a totally abstract main core puzzle involving puzzles and hectic movements that I definitely HATE!!! in any HL map, for those kind of puzzles I conssider myself a PUZZLE-HATER gamer!! !, sorry but I felt that way, I just got tired of struggle in that puzzle that I nocliped and that’s it I pass to the combat section, that was a nice last compensation bonus, but even there the combat was poor and mediocre… it felt that the elevator topic was a big excuse for this developer to give us his abstract awful main orange puzzle. In conclussion this is a VERY VERY great competition any modgamer should play, and I voted for I AM SAFE Now?, as the absolutely winner for this competition I still belive is a well worthy and right wining one. I havent had a chance to play this yet, but soon I will. I look forward to it! Let me add that Phillips video reviews are nicley done! It gives me an idea if I am going to want to DL the mod or not (which in this case, I do). The videos in the main post are not created by me, they are created by William and Darren Weekes. How come I can’t find my review 😐 Surely I wrote it.. Phil can you search in your moderation queue maybe it had some images? No, I can’t see it either and it’s not in the moderation or spam queue. I get 500 spam comments a day now and just don’t have time to review them all. However, it’s highly unlikely that your comment would go there. The system knows you and puts you in the moderation queue. That said, you are not in there and it’s not here, so I can only apologize and say it seems to have gone. I don’t suppose you kept the text, did you? Sorry, I suddenly don’t like calling you PP anymore.. 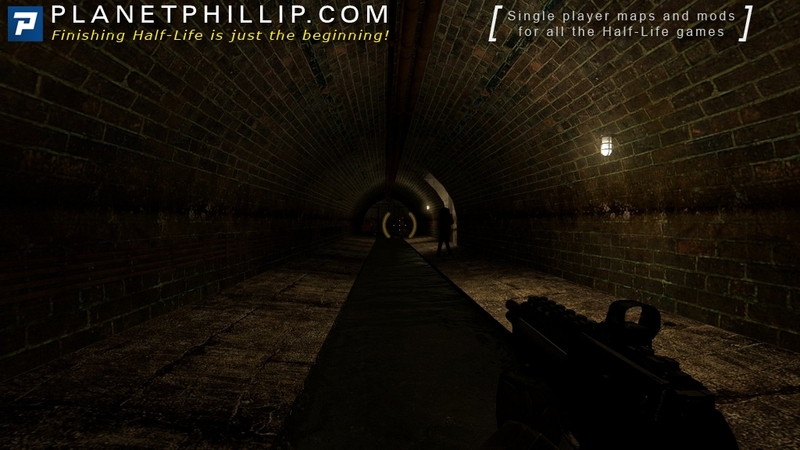 The subject of the competition is a really strange one, but it did manage to spawn some very creative and fun maps. The beginning of this entry is very intense, but later the pace becomes normal. The mapping is fairly decent, nothing spectacular really. The elevator theme was nicely covered here, but the worst thing about it must be the sewer section, where every thing that annoys me happens here. There is nothing to do there, it’s bland and of course… unbreakable locks. Overall, this was a nice entry but IMHO it wasn’t that good to be the winner. 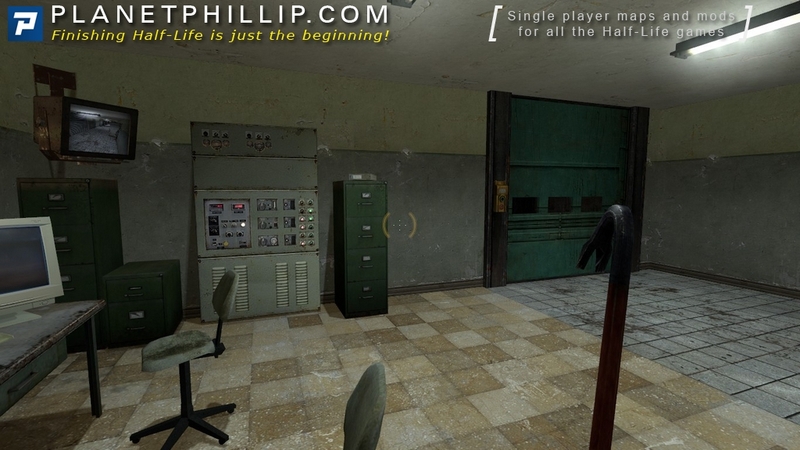 This entry was made by Miigga, who for me is one of the best HL2 mappers out there. For this reason, I thought that this would be the winning entry for me, but even though it is pure Miigga (the brilliant atmosphere, the puzzle centric gameplay), it wasn’t really as interesting. The elevator theme here was OK. The puzzles were good, but they’re not a lot compared to what he has done in the past. Still though, this is a brilliant entry and it was very fun to play. But sadly, it just wasn’t enough to be the winner. This map started out as a mixed bag for me, but later it managed to get more of my attention. There is not a lot of combat to talk about – there’s almost no combat. The elevator theme here was done really well. There were also puzzles in this entry, which were all pretty smart. Another thing I liked was the atmosphere and the mapping. It’s just amazing. Overall, this is a great entry, but it doesn’t do anything that makes it different from the rest. This entry is the weirdest of them all. Apart from having good mapping, nice atmosphere etc., the problem here is that all of the sections you go don’t make any sense. Everything’s fine, when suddenly, you’re playing in a dev map. This is really weird, but the way the dev textures were placed was great and it is one of the most creative maps I’ve played with the use of them. Again, this is a great map, but nothing spectacular. Still though, it’s worth your time. Oh boy. Where do I start with this one. The mapping is amazing, the script is really clever and creative and the gameplay is ace. This is also the entry that was the best looking of them all. Apart from that though, I think that this was the entry that had the best use of the elevator theme, and that’s why for me this is the best entry of them all. Talk about one hell of a mixed bag. There are 2 maps in this entry, which both don’t make any sense at all. 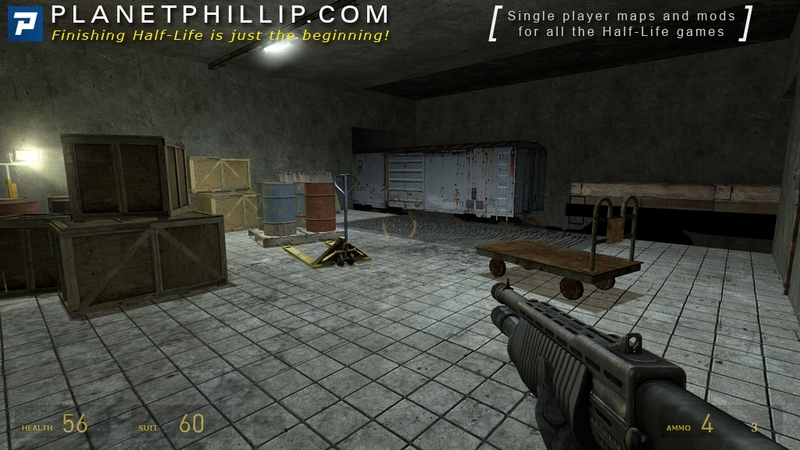 This entry – like Counter Shaft – uses dev textures, but instead of looking interesting, they look very bland and they remind me of those CSS bhop maps. The second map is better, but it’s shorter and the combat is ridiculously easy. Overall, this map isn’t terrible, it was definitely fun playing through it, but there are definitely a lot of flaws which prevent it from having a PIN rating. Link is now working. Sorry about that. Heh, the menu music made me laugh. Well, the combat isn’t bad. 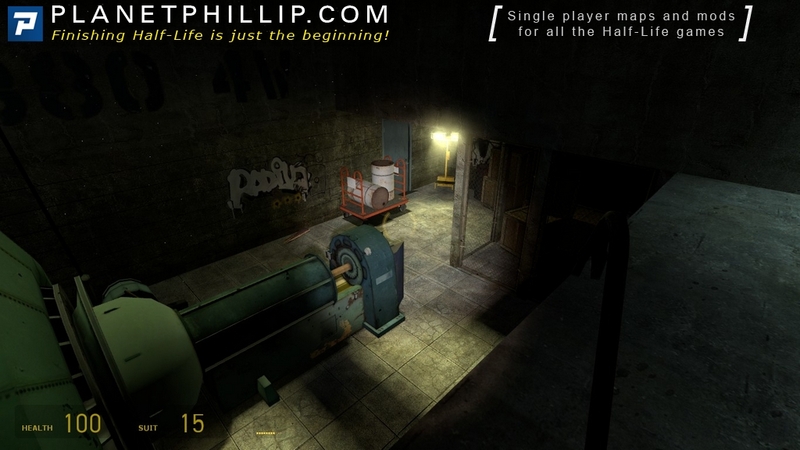 However, the visual language is not only inconsistent with HL2, but inconsistent with itself (some locks break while others don’t), and a few of the methods of progression through the map are too obscure. The map also broke for me and I had to spawn in a gravity gun to move a car out of the way. This is really clever and fun! I like the puzzles a lot. There is one area that’s glitchy (inserting the things as steps back up), but otherwise it’s a great map. The shootout at the end is really good too. This is a nice map. Although the puzzles aren’t very difficult, I enjoyed them for what they were. I also enjoyed the short combat section with the combine, even though it was dev textured. This one is pretty much just easy puzzles. It’s also a bit odd that the lock doesn’t break by crowbar/gunshot considering it usually does. Not much to say about this one. This is a really, really nice looking map, with new textures and a great setting. The gameplay is pretty good, there’s only one fight and the puzzles are easy but it’s a pretty fun map. The gears got a bit confusing considering only one is outside the room with the others though. The ending is funny. I actually really like this but it’s not for everybody. 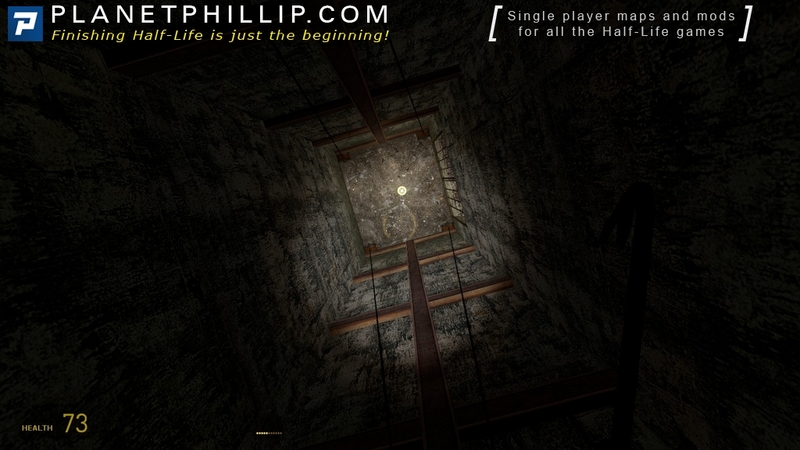 I enjoy first person platforming, and the first part of the map is based around that. There’s also a combine shootout and some hunters. Not a bad map, pretty fun, but not everybody will like it as much as me. 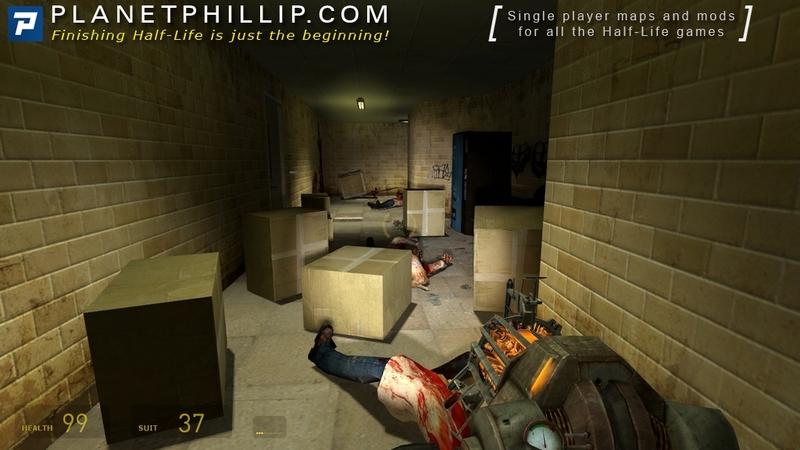 There are some really nice maps in this one, I recommend you give them a try. Next up, ChaseVille! Choosing Crence from the menu actually starts Counter Shaft and vice versa. Would be nice to fix this. Reading the comments, you can see that people constantly confused these two in their reviews, which is really irritating. I started this map a couple of times before I eventually found the unlocked door to dash into! I really didn’t see what to do at first but I got the suit and crowbar. Then I spotted the vent which was annoying because the boxes don’t break!! I turned left in the vent and eventually set upon by soldiers! Restarted and tried right this time into an odd place. I couldn’t get the elevator running then I spotted the little key. GRRR!! Downstairs, are weapons and zombies so let’s have some explosive fun! The sewer area leads nowhere that I could see but there is ammo thankfully. Also, the vent lead nowhere too! Confusing… And getting the rocket was strange but the other crates contain all the ammo you should need. Kill the Strider before entering the garage area. I say this because I didn’t and was killed when inside by the Strider’s leg!! The attention to detail is superb with a great atmosphere throughout the earlier parts. In fact, I can’t stress this enough because it’s so good and also feels rather claustrophobic too. However, the makeshift ladder was frustrating for me but I loved everything else. What I didn’t care for was the arena battle which I personally thought was too hard – at least for me!! Perhaps there should have been much more health packs and better weaponry as the action is intense. Kinda feels like two maps joined together this – I preferred the first part and base my review on this. Sadly, I got a clubbing and lost my weapons – something else I hate!! And the jail cell is a joke! The orange area was tough and I needed energy afterwards but there was none… Doesn’t matter because it all ends rather oddly after I’ve found that obscure key card. Some nice bits to this map but it felt very mixed and didn’t make much sense sometimes. Darn, this starts off with an injury lol but leads onto some simple if pointless puzzles before the elevator works. The next room seems to suffer a graphical glitch – almost as I’m carrying a plank or something! Well, this map offers some more weird puzzles that I didn’t really understand. I cannot turn the wheel as it’s jammed, so I head back upstairs and shoot the canister. Hmm can’t do anything else now because I’ll get burnt, so I head back downstairs and suddenly that jam has gone! This wheel turns off the gas, oddly enough – but there didn’t appear anything else I could do? And then I saw the “fuse” or whatever it is! Wow, that was FUN!! Not. Erm, the lift gets stuck but I see a plank up high… Shooting this sends the elevator zooming upwards. I think I died! Well, this was quite a weird one and an odd idea too. Strangely, it worked pretty well but was a little void of the monsters if I’m honest. I cannot believe I backtracked to look for the one remaining cog and it was there in the room all along! DOH!! Yeah, it was pretty gloomy and needed more lighting I thought but the story worked well overall. I liked this but it could have been better. What a weird start in slo-mo and where did the guy in the lift disappear too? However, this eventually leads me into an orange room with my suit but I cannot seem to do very much. Got bored… did a noclip and moved onto the next room. I can see the whole Portal puzzle elements here and it had some nice ideas but it didn’t work for me. This first room was pretty annoying and the second was just incredibly frustrating. I got no enjoyment from this and had to stop, sorry. Bit of a mixed bag this one and nothing much that really stands out, for me. But it is worth playing Ascension, Am I Safe Now and Elevator Action once.